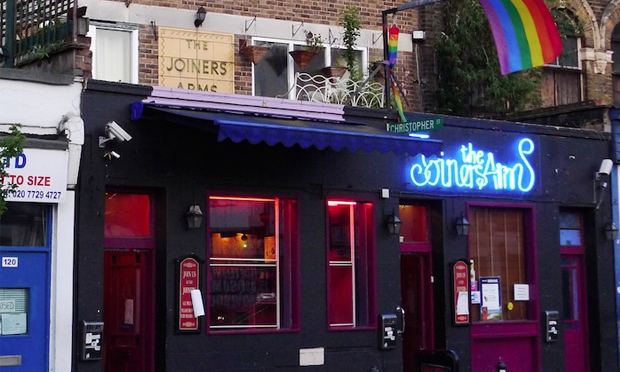 Friends of the Joiners Arms (FoJA) campaigners have welcomed a ‘landmark’ ruling by Tower Hamlets Council which means the soon-to-be-demolished LGBT pub must be replaced with a similar venue. The group has been fighting for three years to re-establish the iconic Hackney Road boozer after it was sold to developers and closed down in 2015. FoJA has described the pub’s plight as the “latest example of London’s property sector negatively impacting LGBT culture”. But Tower Hamlets councillors have now voted unanimously to commit developers to granting a 25-year lease for a like-for-like venue. Any replacement must operate similarly late opening hours as the original pub, and the council has also insisted the Greater London Assembly explores ways to “maintain a local link to elected representatives, and to the LGBT community”. The Joiners Arms used to be open until 4am on weekends, 3am on Thursdays and Sundays, and 2am from Monday to Wednesday. FoJA campaigner Peter Cragg said: “Planning officers initially wanted the venue to close at midnight on weekends and 11pm on weeknights. Tower Hamlets previously deferred a decision on the site’s future on the basis of community concerns. 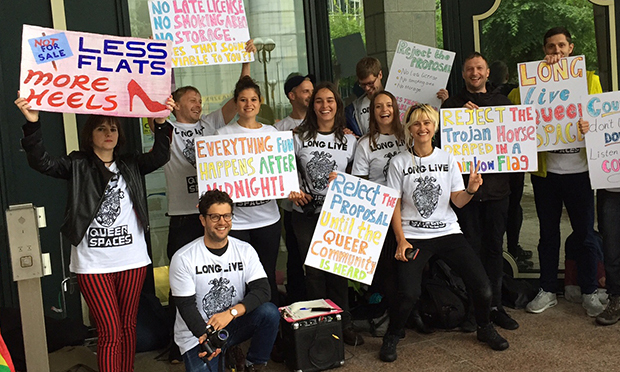 A continued push by campaigners contributed to the developer agreeing to put £130,000 towards fit-out costs of the venue, a 12-month rent-free period and a 22 per cent extension of floor space. Additional commitments will also see enhanced sound-proofing at the venue, as well as the provision of a smoking area. FoJA co-chair Amy Roberts said: “This is an important victory for the LGBTQ+ community, not just in Tower Hamlets, but across the whole of London. What it shows is that dedicated citizens – sharing a common purpose – are powerful and can win big, against overwhelming odds. FoJA says its next step will be to raise the finances for a bid on the lease of the venue when it goes out to tender. The group has already secured Asset of Community Value status for the site, which will give locals a greater say in its future use as well as priority in purchasing it.